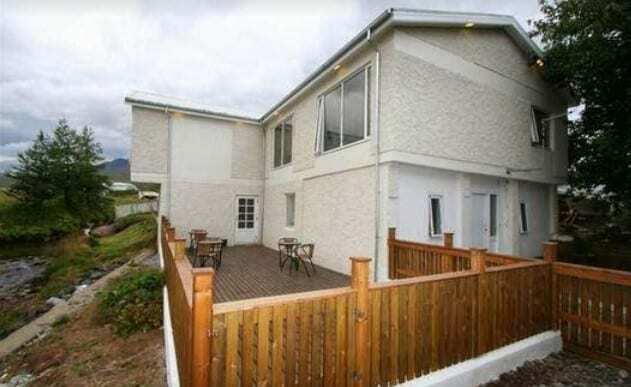 Accommodation in 7 well equipped cottages for altogether 40 people. Camping site. Stóra-Sandfell travel Service is located 17 km. south of Egilsstaðir on highway no. 1 which is the beaten track between Egilsstaðir and Höfn. 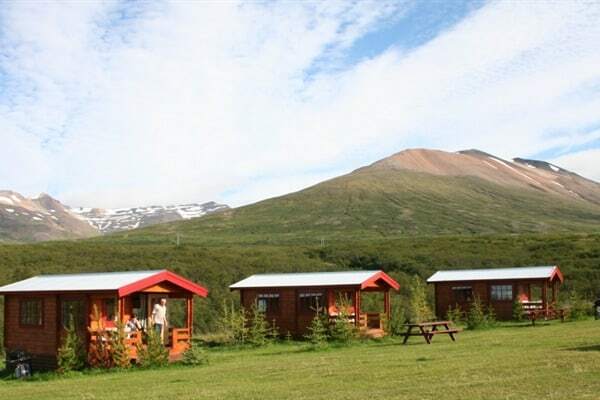 We offer our guests a nice camping place and accommodation in cottages or separated rooms. 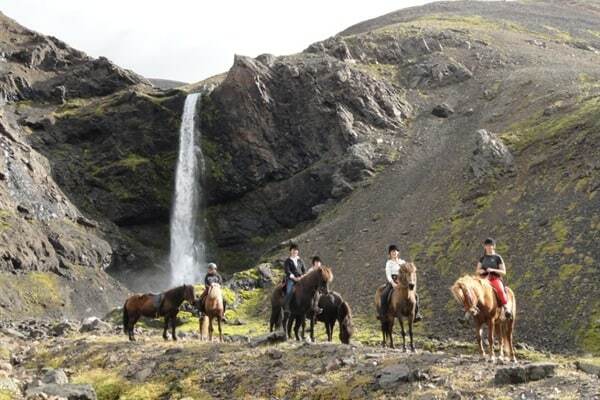 We also offer horse tours in our beautiful surroundings which are also ideal for nice hiking trails. Our travel service is a family business owned by the same family for over 20 years. 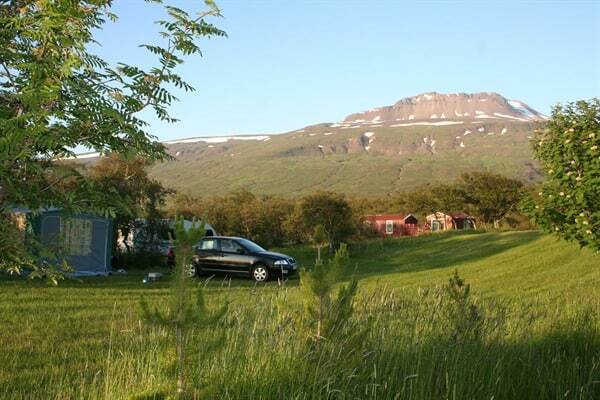 The campsite is tucked away nicely in a forest that offers many a haven for camping. 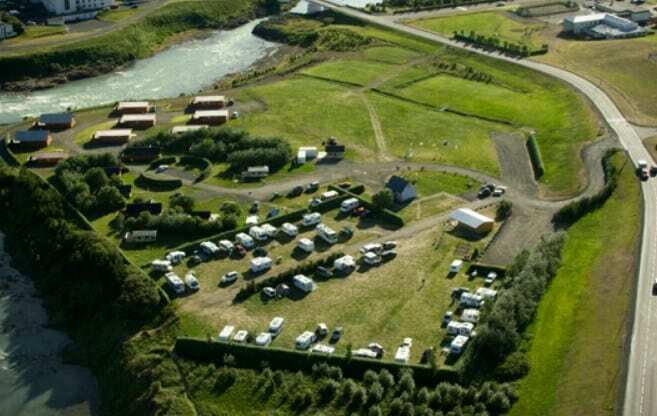 The campsite disposes of good restroom facilities, electricity, sinks, showers and running hot /cold water. Outdoor barbecues are available to our visitors and tables and benches enough to accommodate an army! 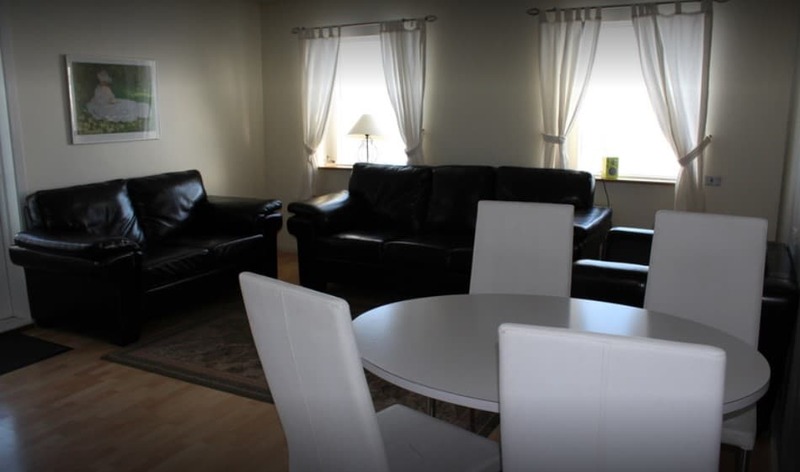 Accommodation:We offer comfortable accommodation in 4 cottages suitable for 4-5 persons. 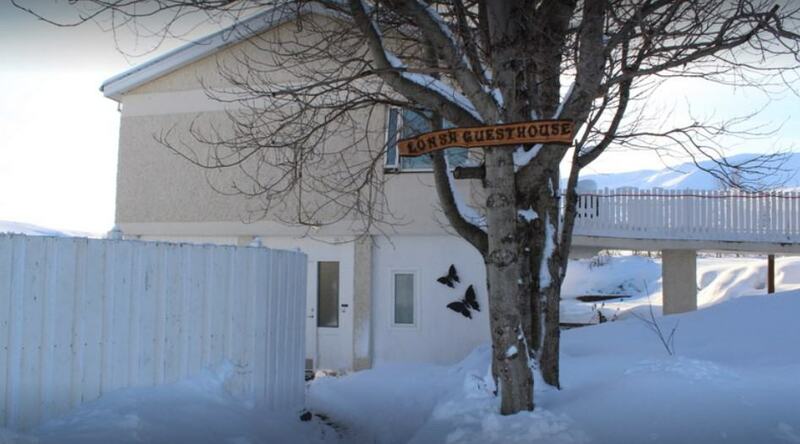 Each room is equipped with a refrigerator, cooking-facilities, tableware and a gas grill. They are rented out for a longer or a shorter period. Sleeping bag accommodation is available in rooms suitable for 2-5 persons. 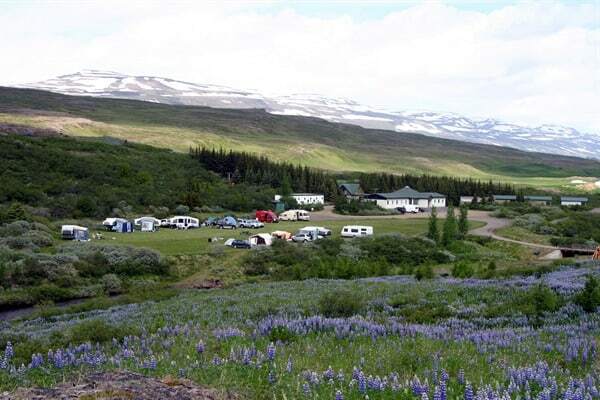 The camping ground and horse rental are open from June 1st – September 15th. The accommodation is available from May 15th – October 1st. By the walking route Laugavegur. Gas for cooking, water, wc. 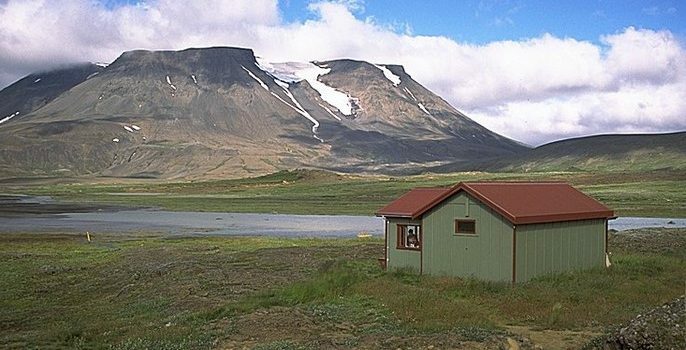 Iceland Touring Association Mountain hut Skagfjordsskali is located on a flat area at the mouth of Valley Langidalur in Thorsmork, just a stone’s throw from river Krossa. The route there from road # 1 requires jeeps or other robust 4wd vehicles, great care and experience, because of the many unbridged rivers which have to be forded. 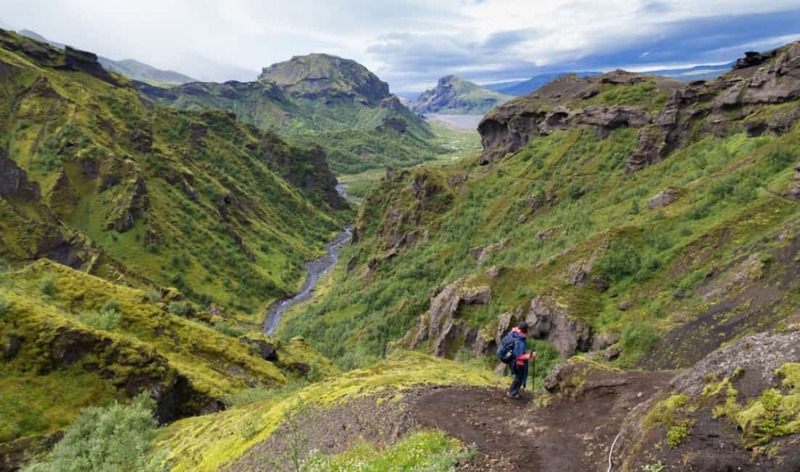 Among the many attractions enroute are the Lagoon (it was there before the eruption) of the Gigjokull glacier, gorge Stakkholtsgja and a few others. 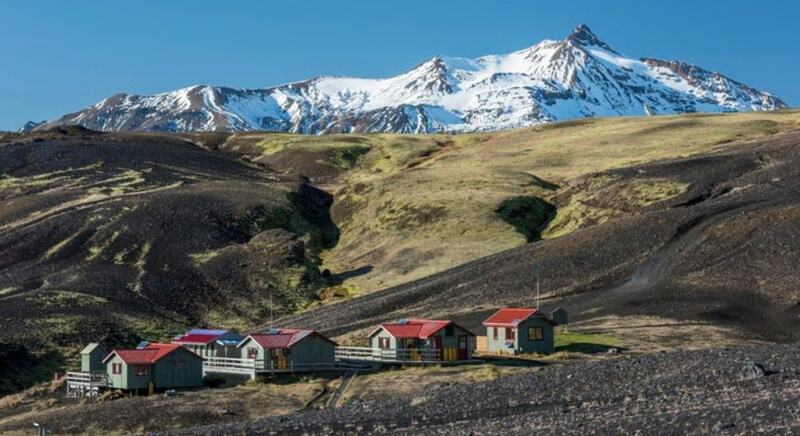 Just outside the hut is Mt Valahnukur, which tempts most people to climb and nearby attractions, Storendi, Stangarhals, Hamraskogar, Husadalur, Tindafjoll, Basar, Eyjafjallajokull and many others, offer great hiking possibilities. 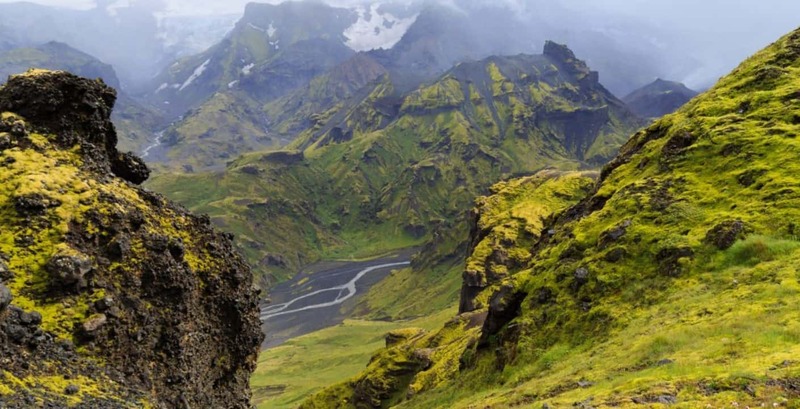 Here is also the starting or ending point of the socalled “Laugavegur” hiking trail between Thorsmork and Landmannalaugar. 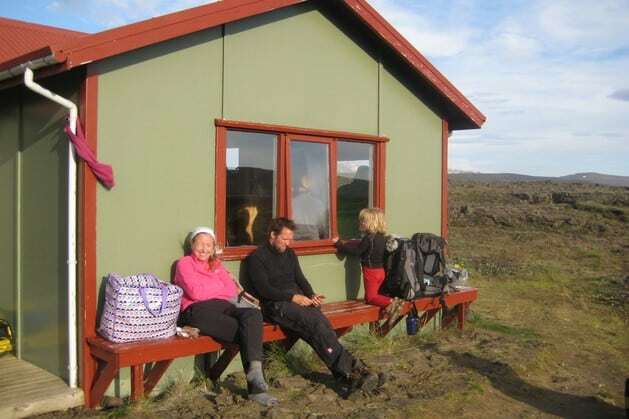 Hikers on that trail spend nights in the ITA huts in Emstrur, on lake Alftavatn and Mt. Hrafntinnusker. On the groundfloor of the hut are a spaceous entrance, two small kitchens, a big dining hall, and two sleeping halls with bunks. In the attic are more bunks. The hut accommodates 75 people. Outside are separate houses, one with WC and showers, a pick-nick house for day visitors, small sleeping quarters (2-4), a shop and a wardens hut. The hut is heated by an oil furnace, which is also used for cooking. 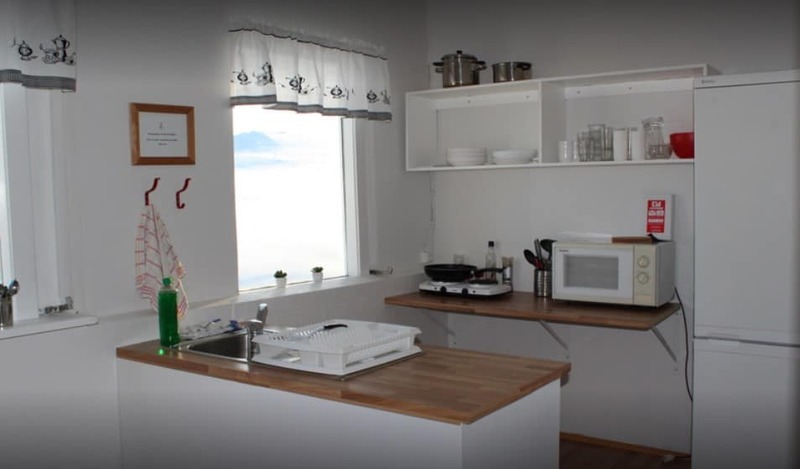 All necessary appliances can be found in the kitchens. 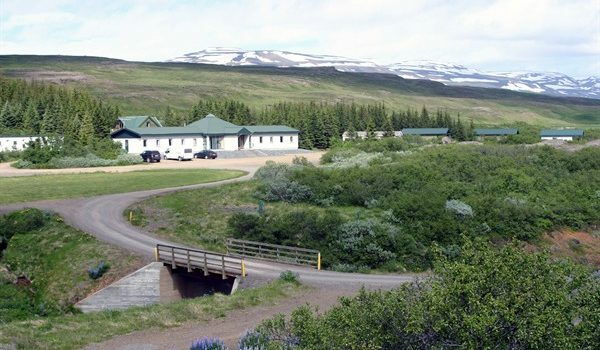 GPS: N63°40,960 W19°36,860 Skagafjörðsskáli in Langidalur. Gas for cooking, water, wc, outdoor grills. 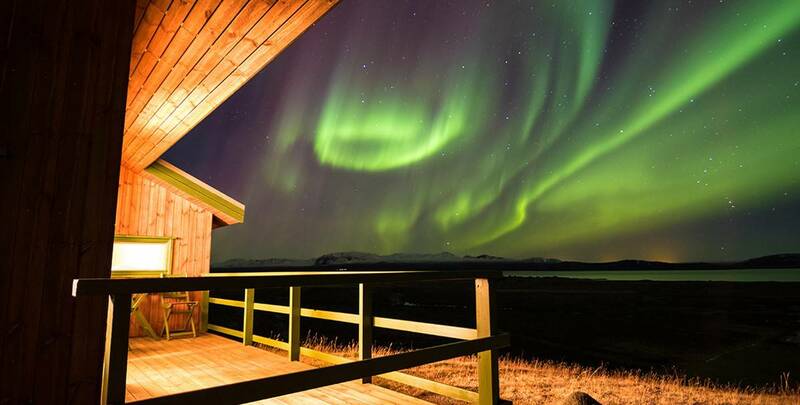 Hótel Svartiskógur is an elegant country hotel ideally situated in the green woodland of Jökulsárhlíð country, just 8 km. away from the ringroad and 25 km. away from the service centre at Egilsstaðir. 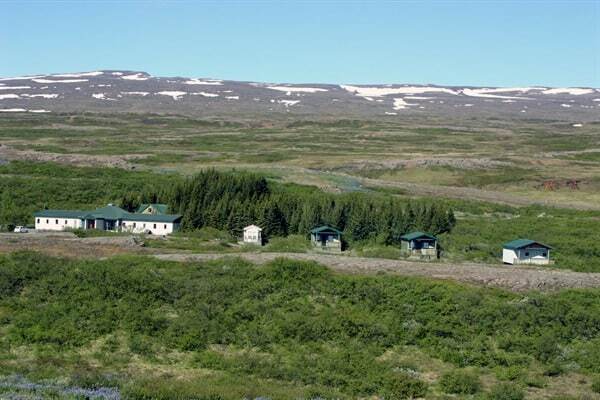 It is practically midway between Egilsstaðir and Vopnafjörður and the obvious choice for admirers of East Iceland nature and calm with fine fishing rivers within reach and a nice camping place beside the hotel. 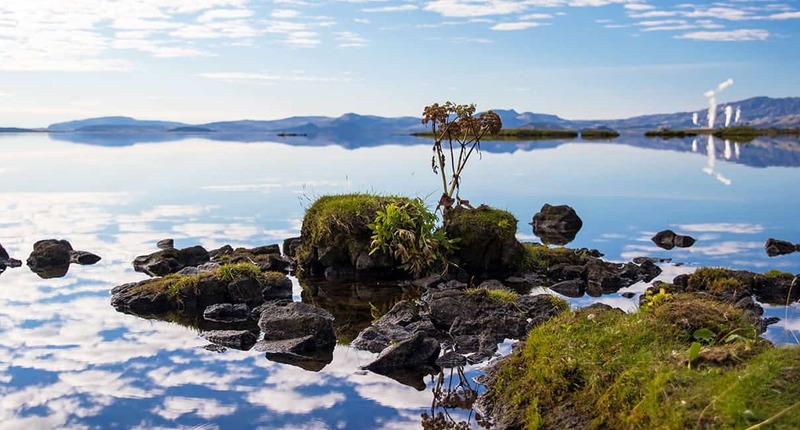 Svartiskógur is the perfect setout point for tours of Fljótsdalshérað, Borgarfjörður eystri, Vopnafjörður, Seyðisfjörður, Fjarðarbyggð and other East Iceland favourites.